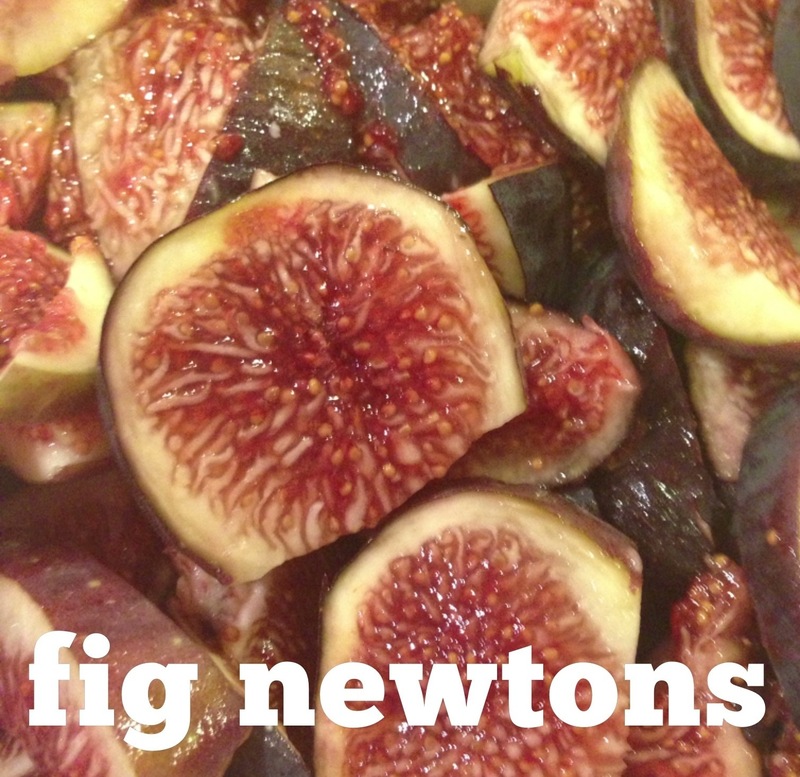 fig newtons | Is there any wine left? Jen and I died, just absolutely died, over the plump figs at the farmer’s market this week. They were huge and soft and slightly chilled from having just been unloaded from the grower’s big cooler (farmer’s market rule #1: get there early before the good stuff is gone). But after sitting out for a few hours on the counter, they warmed up and just about exploded. A few actually did burst open, so we had to sacrifice those to our stomachs while making the fig newtons. This fig newton recipe comes from my mom. My grandmother had a fig tree in her backyard that rivaled the size of an oak tree. And when the summer rolled around and the tree was hanging low with fruit, we couldn’t eat them fast enough to keep up. 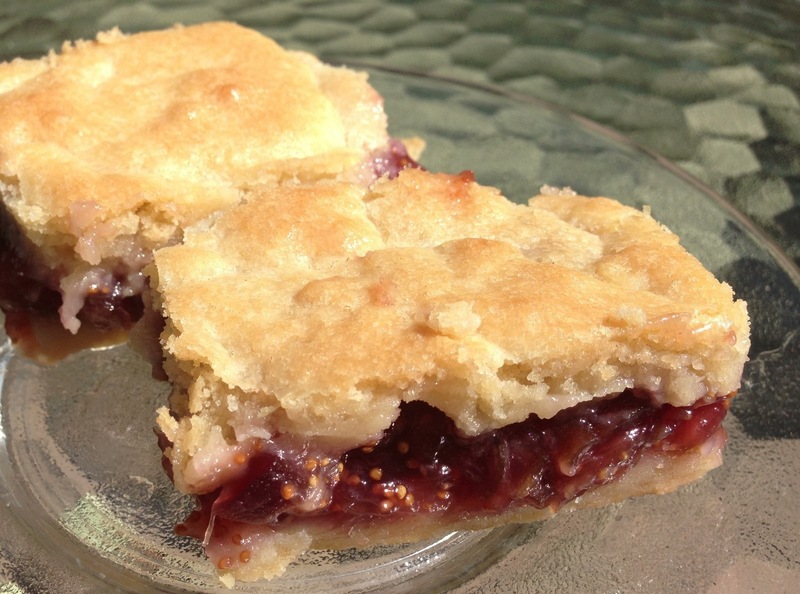 Mom’s fig preserves are delicious, and a good way to use up the abundance, but the real treat is when they’re used for homemade fig newtons. Beat 1 c sugar with the butter, egg, milk & vanilla until well blended. Add the dry ingredients. Mix well and refrigerate for 1 hour. Be sure to do this step before dealing with the figs or you’ll be twiddling your thumbs for an hour while the dough cools and stiffens. Next, wash and stem the figs. Leave the skin on (it becomes really soft but provides good texture, so don’t just scrape out the insides to use) and give them a rough chop. In a medium bowl, toss the fig pieces with the other cup of sugar and let stand for about 15 minutes, stirring occasionally, until the sugar is mostly dissolved and the figs are juicy. 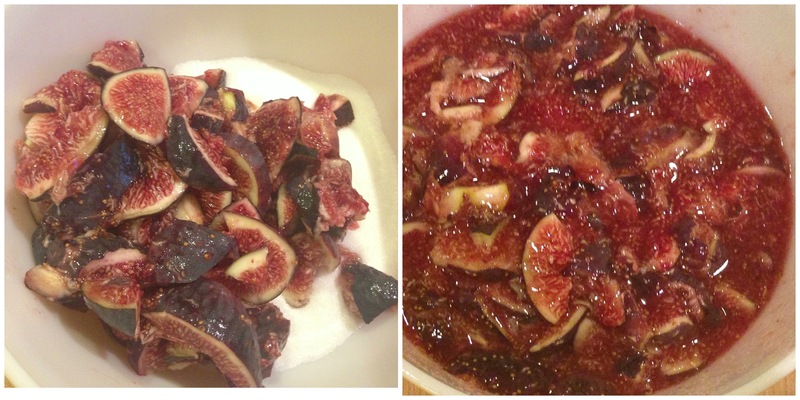 In a saucepan, combine the figs with 1/2 c water and bring to a boil, stirring until the sugar is completely dissolved. Simmer over medium heat, stirring occasionally until of the fruit is soft and the liquid runs off of a spoon in thick heavy drops, about 30 minutes. If you don’t let the mixture cook long enough, your filling will be really runny and make the dough soggy. Remove it from the heat and let it cool before assembling the fig newtons. Also, at this point…? Try not to just grab a spoon and devour the filling. Patience. 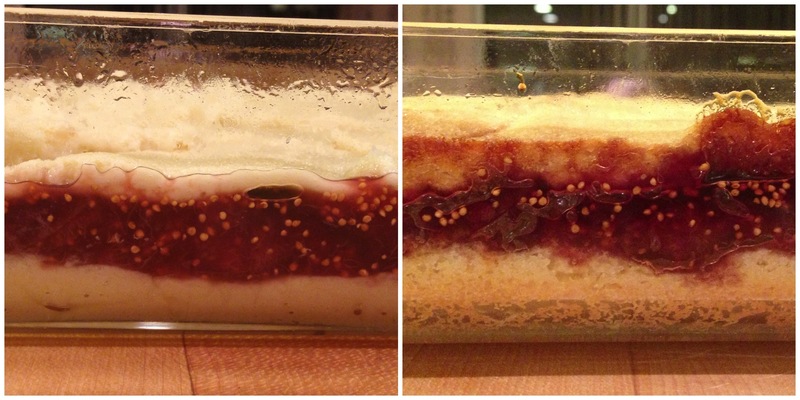 Press half of the dough mixture in the bottom of a greased 9″x9″ baking dish. Spread the figs over the bottom layer of dough. Press the remaining dough into small discs and cover the figs. It’s okay if it looks like patchwork– the dough will flow together when baking. Bake at 350° for 40-45 minutes. Let cool and cut into squares. Enjoy! Beat 1 c sugar with the butter, egg, milk & vanilla until well blended. Add the dry ingredients. Mix well and refrigerate for 1 hour. Wash and stem the figs. Leave the skin on and give them a rough chop. In a medium bowl, toss the fig pieces with the other cup of sugar and let stand for about 15 minutes, stirring occasionally, until the sugar is mostly dissolved and the figs are juicy. 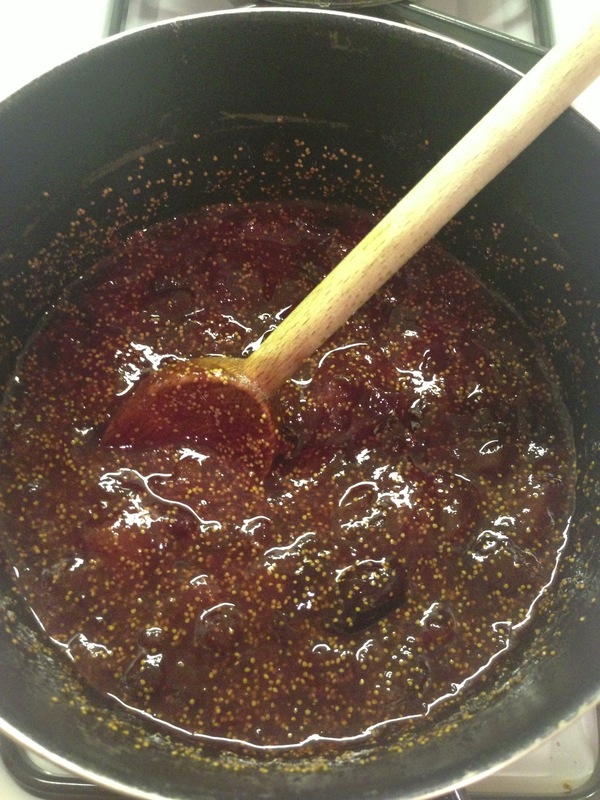 In a saucepan, combine the figs with 1/2 c water and bring to a boil, stirring until the sugar is completely dissolved. Simmer over medium heat, stirring occasionally until of the fruit is soft and the liquid runs off of a spoon in thick heavy drops, about 25-30 minutes. Let cool. Bake at 350° for 40-45 minutes. Let cool and cut into squares. Your recipe sounds delicious. I love figs! I picked some fresh figs last week and made fresh perserve. Looks delicious (and a lot of work) let me know when you’d like to drop some off! heavy cream biscuits | Is there any wine left?